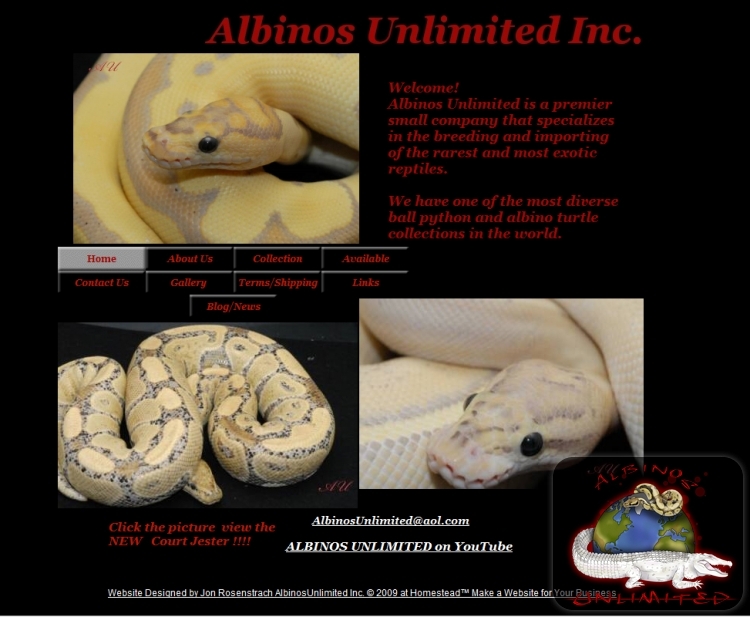 Our new website is finally launched | Albinos Unlimited Inc. | Specializing in breeding and importing some of the rarest and most exotic reptiles in the world. 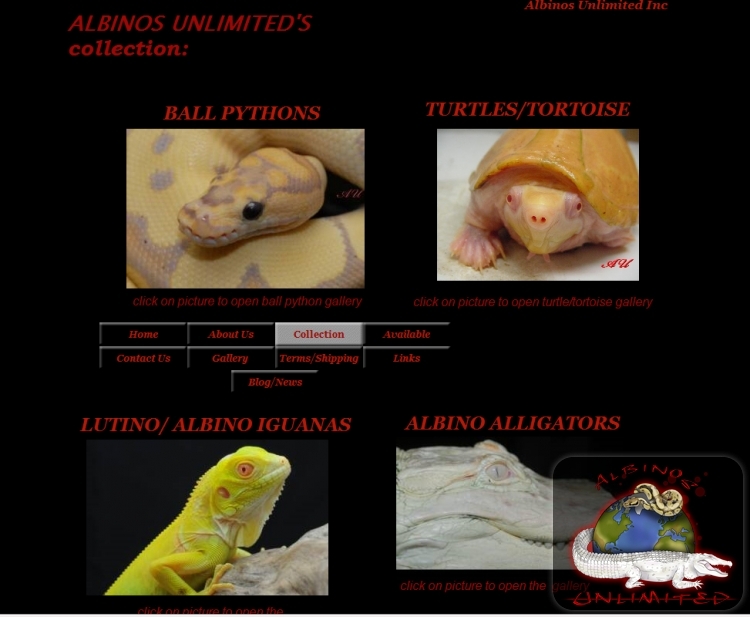 After much anticipation, and much talk; Albinos Unlimited Inc's' new website is finally launched! 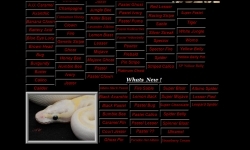 The website is a fully featured content management system with the works. 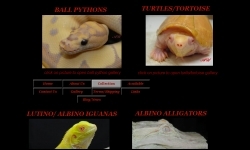 Automated image manipulation, cross computer/browser compatibility, automated content placement and style rendering, etc! Please bear with as content is added and the website is brought to full speed. It'll be finished shortly! 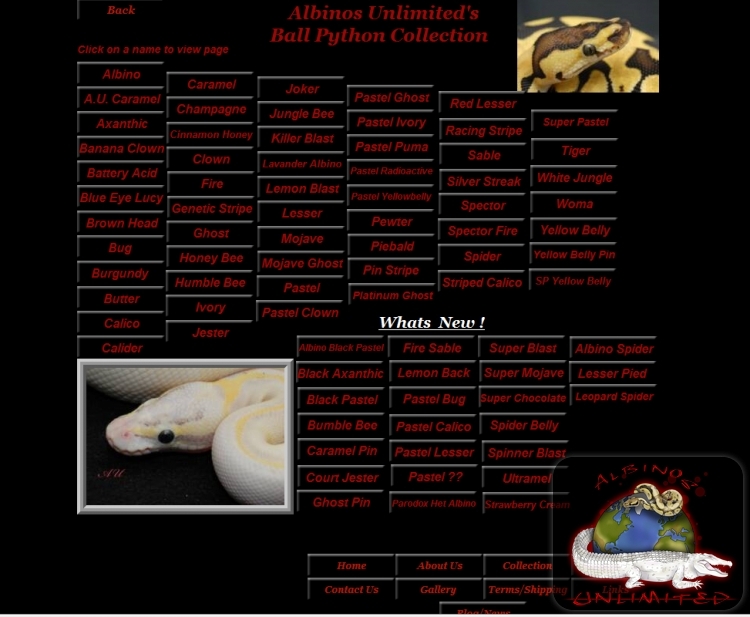 In the mean time, we've included some screen shots of the old website vs the new website. Thanks for your time!